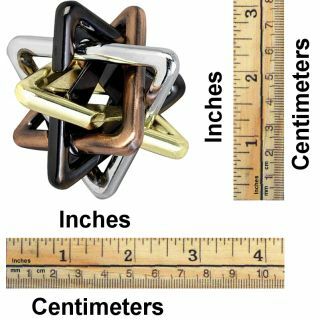 Challenge yourself and your friends with this mesmerizing metal brain teasers by renowned designer Doug Engel. Can you take it apart and then reassemble it? 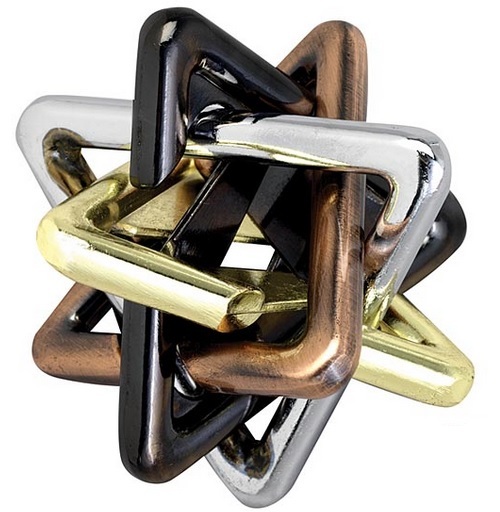 Made of stunning 4 color brushed bronze, silver gold and gun metal alloy.